The popular game of solitaire has been upgraded! Designed with the motto: free, convenient, and fun. 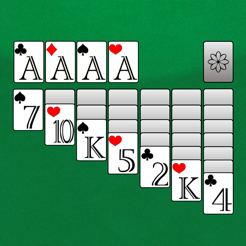 You can now play solitaire even easier, can start a game in an instant, making it perfect for a moment of free time. We can recommend this app for every solitaire funs. It's just good with iPhone/iPad! ・The simple design allows you to start the game in just one action after starting the app. 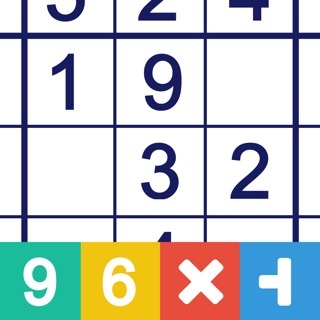 ・Designed so you can see the clear count at a glance and feel the ever-increasing fun. ・Designed to avoid interrupting the game's flow, you can progress through the game smoothly and without stress. ・You can choose from four modern and beautiful designs for both the cards and the background, sure to match the tastes of both men and women alike. ・Tap and swipe to move cards. ・Replay from the beginning with the same arrangement of cards. ・Play with a new arrangement of cards. This app allows you to use the original "Peek" feature. By using the peek feature, you can check the movement of cards (for the cards face down in the stock) as you proceed through the game. By doing this, you can aim to beat the game with the fewest moves (fewest movement of cards), and increase your win rate. While this app can fundamentally be played for free, some items are available for purchase. If you do not wish to use this functionality, go to your device's settings and turn off "In-App Purchases." These can be viewed in the settings screen in the app or in the URL below. Design of green background is changed. Card motion is now more smooth.